Remember Paul the Octopus? During the Euro 2008 and the 2010 World Cup, he shot to global fame when he amassed an overall record of 12 correct predictions out of 14. He even predicted that Spain would be the 2010 champions over his home country, Germany! What if there was something else that can predict the outcome for the most anticipated tournament this year? 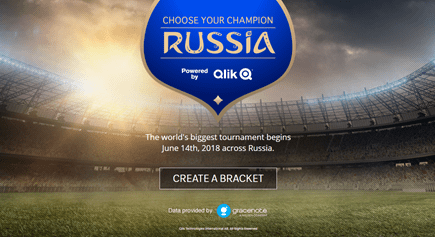 Something loaded with data, that can show you the likelihood for each country to advance the group stage and make it to the finals? Do you agree with the odds? Make your own bracket now!